"The House of Commons’ justice committee, chaired by Sir Alan Beith MP, predicts an increasing number of litigants in person by reason of the government’s curtailment of legal aid." 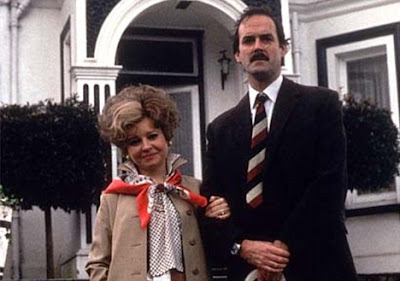 The quote, if you haven't already guessed it, is: "Next contestant, Mrs. Sybil Fawlty from Torquay. Specialist subject - the bleeding obvious." "The commentary on the legal aid cuts has had the usual talking heads pirouetting about the usual platitudes. None of them face up to the fact that the virtual elimination of publicly funded professionals from family cases in the county court threatens its collapse under the weight of misplaced expectations." 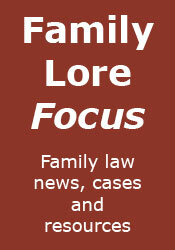 "Family cases will take up more, perhaps much more, of a finite amount of judicial time. This will result in longer delays and increase the difficulties for other litigants in person whose passage through the court will be further extenuated." Excellent stuff, and well worth a read. Amazing how often the "bleeding obvious" is far from obvious.An excellent article from the "coal face".